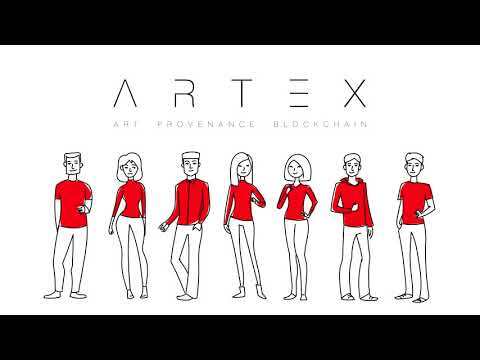 The ARTEX Platform records the provenance of works of art in the blockchain, enabling investors and collectors to receive information about exhibitions and sales, and to see expert assessments, price indexes, and much more using a simple mobile application. 1. It provides an aggregated record of each art work’s transactions Now the buyer of a picture will be able to learn about its previous owners. The picture history always begins with a reputable gallery. The initial authenticity of a picture will be defined by an amalgamated group of accredited experts from around the world. 2. Creation of a unified but decentralized registry for the authentication of artwork using blockchain technology Upon completion, our project will create a unified history for each piece of art that will completely eliminate the possibility of forgeries. All elements in said history will be verified by a decentralized group of experts, and the work will have a straightforward record. With our application, each user will be able to instantly scrutinize the a piece’s exhibition, storage, and ownership record. They will also be able to see the quantity of duplications that have been made. In addition to a chain of blocks with information for collectors and dealers, investors will have easily accessible data (description, artist, audio, video and so on) which will automatically be transferred to museums during exhibition of artwork. 3. A secure process, Safe Deal1, will use Smart Contacts to maintain reliable transactions Artex will provide safe exchange. We use an on demand mechanism that allows completely safe transactions. The process is not complete until it is confirmed by a third party. The third party can be the print laboratory, a gallery, or another expert in the block chain. 4. The restricted circulation of digital works of art. Authentication is achieved with the formation of a narrowly defined group It is carried out according to the Photo Token‘s release, and a single printing of the photo. After the release of a physical copy, authentication is confirmed through a three-tier process: a key that consists of the image code (format, materials, veneering, size, date and place of release), the owner’s code, and the producer’s code. The image can be verified telephonically at any moment, but only when all three codes are present. Otherwise the transaction cannot be made. 5. Copyright protection for photographers Artex contends that, in the future, photographers will not need to use the courts to prove that they are the rightful owners of the copyright. Courts will accept the records that are confirmed by a blockchain system. This will greatly reduce legal costs, will reduce unlawful duplication, and will legally protect artists. 6. Monetization of knowledge Artex will help experts (art historians, critics, gallery owners, professional photographers) to monetize their knowledge and abilities. They will earn ARX Token through moderation, assessment, and attribution of images and pictures. We plan to use a world-wide community of experts who have been vetted and verified by investors with reliable professional reputations. verification and adding of new photo labs; photo printing in a lab; safe Deal mechanism, arbitration. attract major art galleries to the artex system; digitization of famous paintings. creation of artists’ registry; creation and accreditation of a primary database of experts (art historians); realization and release of a fully functional picture token; realization of a fully functional token sale.